Vintage grooves for warmer climes from the Love On The Rocks boss. Driven by a constant quest to create deep n’ meaningful dance floor connections, Paramida has become a citizen of the world, spending weekends rejuvenating dancers with an ever enticing cocktail of colour and melodic flair wherever she might land next. With a never ending schedule seeing her rise up the ranks in recent years, spending chunks of time in places like Berlin, Frankfurt, Los Angeles and Vietnam, she’s become a much loved regular at beachside festivals like Love International and legendary rooms like Panorama Bar and Robert Johnson where she’s known to play all night long. 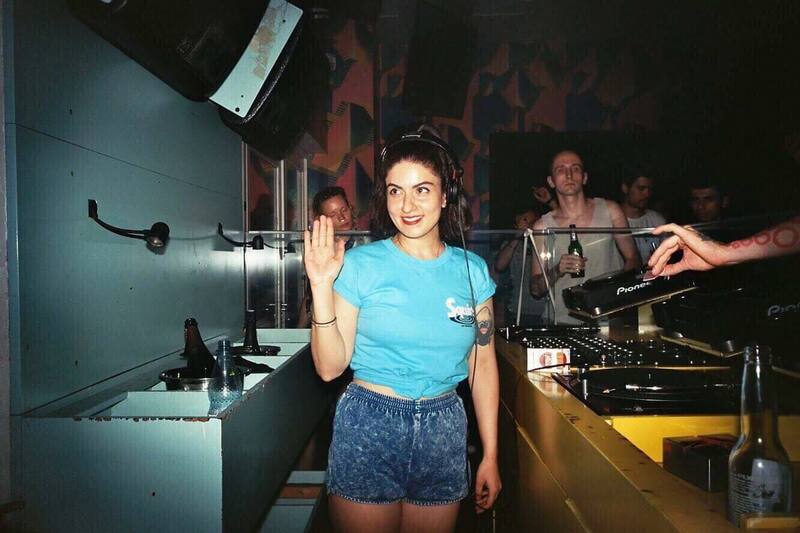 Embarking on her third Australia tour in the space of two years at the end of this month, we caught up to get the latest and she’s delivered a stellar mix of dreamy vintage house and balearica in all their feel good forms. Hey Paramida, how’s things? I see you’ve got a pretty exciting booking at the legendary SNAX night in Berghain’s Lab.oratory this weekend… will it be your first time attending that party, and what kind of vibes might you pack for that one? It is going to be my first SNAX and I’m pretty excited about it, since it’s a men only party and I am going to be the only woman there (DJing). Gay parties have always played an important role in my DJ life, so this is like a milestone. It is going to be my first time and I guess I’m just going to do my thing music wise. You’ve been a feature on many a line up at the much loved Offenbach club Robert Johnson over the years.. for you what is it that makes that space so special, and do you have any favourite memories you could share with us? It’s definitely the soundsystem and the dancefloor. They have Martin Audio speakers and a Martin Audio customized soundsystem, an old Rane mixer and a wooden dance floor. The club holds a capacity of max 250 people, but everything is set up in a way, that you can rotate, so you never get bored (they also have a terrace overviewing the river and Frankfurt). I just love it for its intimate atmosphere and sick sound. I think the most memorable/not-memorable night for me was my all night long set there. It was pretty good, but for some reason I don’t remember anymore what I played between 2 and 10am (I started at 10pm). I just remember a feeling and the feeling was a good one. Your time working at Berlin’s OYE Records sounds like it played a big role in sharpening your tastes over the years, what did you learn the most from that experience, and how does OYE stand apart from other stores in Berlin? Working at OYE definitely played an important role in my life when I was younger. It was a good place to discover music and build up a network. Being swamped by hundreds of mediocre releases every week and the fact that I wasn’t listening to any music in private anymore, led me to quitting the job though. I think OYE is a good record store if you are looking for new stuff. They have a wide range of styles, too. What’s been happening with your label Love On The Rocks? What do you have coming up next that you’re able to tell us about? You’re back in Australia for a bunch of nice dates at the end of this month, what can you tell us about all that and what have you enjoyed the most about your time spent here in recent years? I definitely met some nice people every time I was here and built friendships. So it’s great to come back and see all my favorite party people again. This is also the first time I am not touring with an official agency, my friend sorted this tour, so it feels more like a family affair and I’m pretty psyched about it. I hope to see some Kangaroos and Koalas this time. I was pretty tired, had a cold, was in between Portland and LA and had time pressure. Guess I was a bit moody and you can hear it out. But it’s groovy and at the end of the day, it’s all about the groove.